Friday the 13th, the 1989 game, is widely considered to be one of the worst video games of all time, certainly one of the worst ever made for the NES. 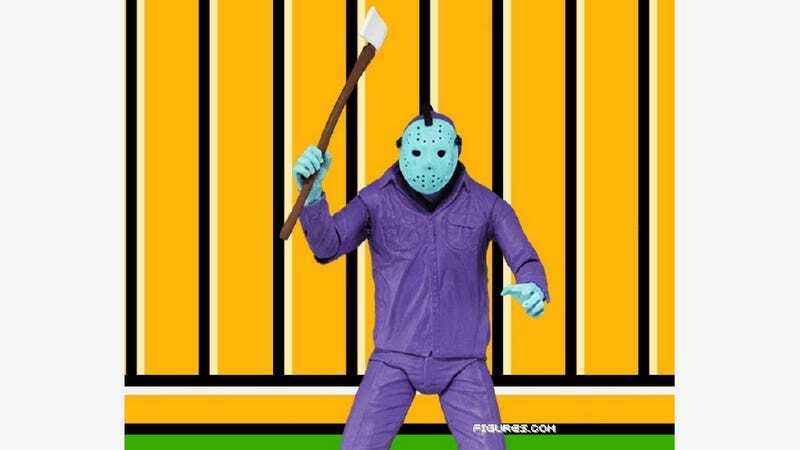 So of course it rates a special edition figurine—Jason Vorhees in the strange purple getup he wore for the final, deeply unsatisfying boss battle. Figures.com has all the details, plus two much larger-size, full-body presentations of the figurine. It's a Comic-Con exclusive by NECA and will be available at the company's booth in San Diego. Figures.com adds that its packaging will replicate the hideous box cover LJN chose for the game, too. Oh, it's $25.